Healthcare Professionals play an important part in helping parents of toddlers (1-3 years) understand what a healthy weight is, and how best to achieve it. A toddler’s growth may falter due to illness, or if the toddler is a fussy or restrictive eater. The goal of intervention is to identify any underlying medical conditions and to provide the toddler with adequate nutrition so they can ‘catch up’ to a normal weight. WHAT IS ‘NORMAL’ WEIGHT GAIN? Inadequate intake of macronutrients (carbohydrate, protein and fats). Fussy eating or food refusal. It is important to consider that any issues which arose during the prenatal, neonatal, and infancy stages may be affecting a toddler’s weight gain. For toddlers aged two and older, poor weight gain or faltering growth can be assessed using body mass index (BMI). BMI is calculated by dividing weight (in kg) by the square of height (in metres)*. Divide the result by height. The result can then be plotted on the gender-specific BMI charts. *Toddlers should be weighed and measured accurately using only calibrated equipment. Try to use the same weighing scales for consistency. A BMI below the 2nd centile is unusual. It may reflect under-nutrition, but may also simply reflect a small build. 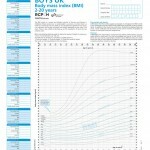 The chart also displays low lines at -4 and -5 SD for those who are severely underweight. Toddlers whose BMI lies below the 0.4th centile are likely to have additional problems and if not already receiving medical or dietetic attention should be referred to a paediatric dietician for further dietary advice and monitoring4,5. The goal. The goal of intervention is to provide the toddler with adequate nutrition so they can ‘catch up’ to a normal weight. Making a change. Catch-up growth may require changes to the toddler’s diet, feeding schedule, or feeding environment. A combined effort. The parents and healthcare professional should work together to develop a plan that meets the needs of both the toddler and the family. Offer three meals and two or three snacks every day. Aim to provide meals regularly, and try not to leave long gaps between meals. A toddler’s stomachs is small, therefore they may not eat a lot of food at one meal. It may be better to offer little and often. Avoid giving a toddler too much fluid, especially before and during meals, as this can be filling. Use full fat rather than low fat milk on breakfast cereal. For a quick snack, spread full fat butter or smooth peanut butter onto plain crackers. Add full fat milk, cream or cheese to soups and sauces. Add butter, grated cheese, milk or cream to mashed potatoes. Grate cheese onto plain pasta, or add some cream to pasta dishes. Adding cream, butter and cheese may seem to contradict healthy eating advice for toddlers, but if the main priority is weight gain, don’t worry about fat & sugar 5. When this advice is insufficient to promote the desired catch up weight gain, or when food for special medical purposes (FSMP) is indicated, toddlers may need to be referred onto local community or hospital dietetic department. Dunne, T., Farrell, P. and Kelly, V. (2008). Feed your child well. Dublin: A. & A. Farmar. AUTHOR: Ruth Charles is a practicing dietician since 1992, and is the founder of the Irish Food Allergy Network (IFAN).